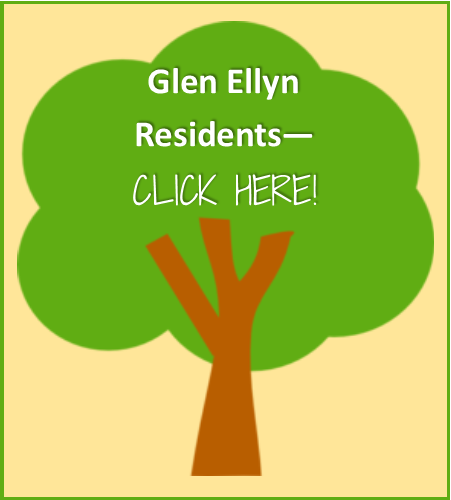 Workshops and presentations have been held for the community to help residents, local business members and community leaders learn more about rain gardens, native landscaping, sustainable yard management practices, and other ways to conserve water and beautify the Village of Glen Ellyn. Residents can become certified through The Conservation Foundation's Conservation@Home program. Two very successful Glen Ellyn Garden Tours have been held, showcasing Glen Ellyn properties that have demonstrated a conservation ethic in their landscaping with the use of native plants and efforts to reduce chemical use and conserve rainwater. Orders are currently being taken for a Native Tree & Shrub Sale! CLICK HERE for the plant list and order form.